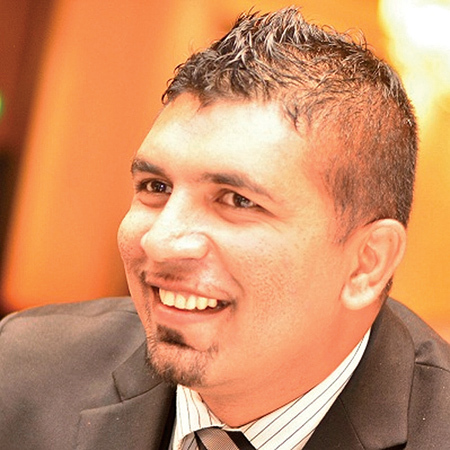 Not just the Sri Lankan basketball fraternity, but the sporting community as a whole mourn the untimely demise of Rienzy Ranil Ganewatte of Hayleys Group who died during Friday’s Mercantile Services Basketball League tournament match against Airport & Aviation at the Henry Pedris courts, Colombo. The 39-year-old 6.5” centre player was overjoyed as he scored an early basket, but little he knew as he collapsed near half court line on his way back to back court, that he will never wake up again. It was not just a shock to spectators, but for all who knew Ranil, as it is hard to believe such a graceful giant will fall to a sudden eternal sleep. According to the postmortem sudden block of blood supply to Ranil’s brain caused by two narrowed veins of his heart is the reason for his death. Born in 23/04/1978, Ranil was educated in D.S. Senanayake College, Colombo 7. He joined the school basketball team as an under-13 lad and earned a prominent place in his team due to his height. Since then Ranil played for the school team at all levels from U-13 to U-19 winning many accolades to his Alma Mater. He represented Sri Lanka Schools team in 1996 and 1997 rendering a great service as the centre. Ranil’s younger brother Oshan also played basketball at D.S. After leaving the school Ranil joined the Colombo Bulls basketball club and continued his club basketball career. Ranil donned the National jersey representing Sri Lanka Basketball team in 2001. He has also been an essential player in the Western Province basketball team for several years. Ranil gained employment with the Metropolitan Group and also played for the Mercantile Services tournament for several years before joining the Hayleys Group. He completed an almost 12-year career at the Mercantile Basketball scene. He was working in the capacity of Manager - Sales and Marketing at a Hayleys subsidiary, Advantis Freigh Pvt. Ltd.until his untimely demise. Ranil was a true sportsman with a lot of good qualities who is well known for his meritorious work among the friends. He was a gentle giant with a big heart and a great friend to all. Ranil leaves his wife Thanuja and only son. His remains lie at residence, 573/1/A, 10th Mile Post Avenue, Malabe. Cortege leaves residence at 4.00pm for cremation today (June 19), at 5.00pm at the Thalahena Cemetery. Congrats Pakistan. It was time that the arrogant Verat Kholi was humiliated. Unlike his predecessor M. S. Dohni who was a First Class Gentleman; Kholi has proved he is not the indestructible "hero"he has tried to portray himself as. The majority of the Indian cricket team have played the game in the spirit is was meant to be played but Kholi is another matter. Good on you Pakistan. From now on, I barrack for your side whenever you play India.